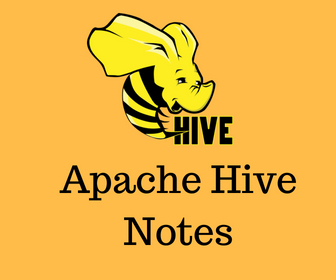 Initially Hive was developed by Facebook, later the Apache Software Foundation took it up and developed it further as an open source under the name Apache Hive. It is designed for OLAP not for OLTP. Hive is a system for managing and querying un-structured data into structured format. It uses the concept of Map Reduce for execution. Hue : web based application which provides interface to interact with hadoop ecosystem. First we have to create table and load the data. We can call this one as "data on schema". By dropping this table, both data and schema will be removed. The stored location of this table will be at /user/hive/warehouse. We can call this one as "schema on data". External tables creates on top of data. If table is deleted data still persists in HDFS. 1) create external table and insert data. 2) create external table and load the data from Local file system. 3) create external table and load the data from HDFS. ** If you use OVERWRITE in loading statement data will be override. ** Other wise copy of files will be created. ** If you drop the table , data file will not be removed from HDFS. View ---> View is a logical object. can be create for 1 or more columns from a table. Index--> improving the performance when fetching the data from tables. where --> used for filtering the rows based on condition. Display students who are passed in the year 2012. Count number of students passed in each year. dummy --> one row and one colomn. Aggregation functions applicable for group of columns. count(*) --> returns total number of rows including nulls. count(exp) --> returns total number of rows for which the supplied column. sum(col)--> returns sum of elements in the group. avg(col)---> returns average value of elements from a group. max(col)--> retruns maximum value from the group. I want to see the car makers that have more than 1 model in cars table. Problem statement -2: Find the mean of marks obtained in maths by all the students. Join is used for getting the data from multiple tables. 2) Create new table and import the data from external file.